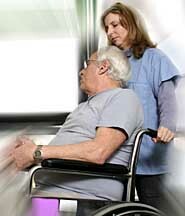 Elder Care lawyers and lawsuits, financial elder abuse and Legal Help for seniors. Long-term elder care is on the rise, mainly because Americans are living longer and the first wave of baby boomers has now reached retirement age. As a result, not only are more seniors than ever utilizing long-term care insurance and assisted living facilities, many are also choosing to live independently. But longevity and an increasing elder population can create many challenges--some of which can lead to elder care lawsuits. Senior legal concerns can include nursing home abuse, senior scams, bad faith long term care insurance, nursing home neglect, and financial elder abuse. Send your elder care claim to a Lawyer who will review your claim at NO COST or obligation. While getting older no longer necessarily carries images of frailty or dependency, many seniors do at some point require full-time health care assistance and/or help with financial matters--either from a financial planner or, more often, a loved one. In all cases, trust is of utmost importance but unfortunately, not all caregivers are completely trustworthy--even, for example, when Power of Attorney is granted to next-of-kin. Elder care attorneys note that seniors who have put their faith in those they have chosen to help guide their financial and healthcare decisions may then be embarrassed to question the caregiver's actions, motives or integrity. Sometimes aging parents may not want to cause a riff in the family or ever think that a child of theirs or a trusted friend could possibly betray their best interests. But this is exactly when elder care legal help may be necessary-- perhaps even an elder care lawsuit. And, it's the children of aging parents who will need to bring forward a legal complaint--they will need to be their parent's advocate. Who is Most Likely to Commit Elder Care Abuse? Family members may exploit relatives for a number of reasons. Relatives looking toward an inheritance may try to take what they believe is "rightfully" theirs. Or, they may fear that an extended illness will use up the elder's savings, thereby depriving the abuser of an inheritance. Some family members may want to prevent other relatives from getting any of the elder's assets. And in some cases, a family member may have a substance abuse, gambling, or financial problem. Professional service providers, ranging from financial planners, estate lawyers or even the local handyman may exploit older customers. They might overcharge for services, or even fraudulently transfer funds or accounts without the elder victim's knowledge. Door-to-door handymen may swindle the senior into having work done and receive payment for the work without following through on it. Medical professionals may commit Medicare or Medicaid fraud by charging for services never performed or by overbilling. Caregivers may try to seek employment as helpers to gain access to an elder’s financial documents--all the while professing how much they care for and admire the elder victim. They aim to gain the elder's trust. They may even target victims who appear to be isolated and some have been known to check the obituaries in order to find their next prey--widows and widowers. Although we trust seniors to the people who manage and work at the homes and residences they live in, nursing home abuse and home care abuse do happen, at an alarming rate. Abuse that can occur in a nursing home, care home or hospice include physical abuse, sexual abuse, emotional abuse, financial abuse and neglect. Unfortunately for seniors, these forms of abuse happen all to often. Physical abuse can include mistreatment of the senior, such as slapping, punching, hitting, unnecessarily restraining or otherwise physically harming the senior. Sexual abuse involves the sexual touching or interfering with a senior who has not given consent or is not able to give consent. Emotional abuse includes yelling at the senior; calling him or her names; berating, humiliating or bullying the senior; isolating the senior or causing fear in the senior. Financial abuse involves stealing or removing property from the senior without the senior's permission, or obtaining the senior's trust to take his or her property. Neglect involves failing to provide an adequate standard of care to the senior, including not giving proper medicine, not maintaining hygiene and failing to provide proper meals. In addition to the above, nursing homes, care homes and hospices may commit health care fraud by not providing proper care but overcharging or double-billing for medical services. They may also commit abuse and neglect simply by failing to provide an adequate number of well-trained staff to ensure timely responses to seniors' medical needs. Unexplained or sudden appearance of injuries, including but not limited to broken bones, strains, or sprains. Behavior such as belittling, threatening, and other uses of power and control by spouses are indicators of verbal or emotional abuse. Sudden, unexplained fear or paranoia, especially if directed at specific people. In some cases, the home or caregiver might attempt to explain the signs of elder abuse as symptoms of dementia or frailty. 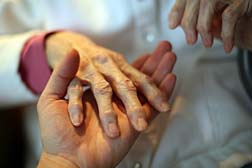 Generally, though, if there are both physical and emotional signs of abuse it is a good idea to question the caregiver. If you suspect abuse, neglect or other unethical acts are taking place, you can contact your local police department, the state ombudsman or an elder care lawyer to investigate. There are many financial scams aimed at taking a senior's money and/or property. These scams often involve gaining the senior's trust and convincing him or her to give away money or other property. Seniors are often targeted because they are seen as vulnerable to exploitation and because they often depend on other people for their care. Financial elder abuse, including scams, can be perpetrated by family or loved ones, friends, acquaintances, business associates or strangers. Sweetheart scams, in which the perpetrator agrees to marry or befriend the senior, then asks for a loan only to disappear before paying back the loan. Funeral and cemetery fraud, in which unnecessary charges and fees are added to the funeral. Seniors who are isolated, recently widowed, disabled in any way, unfamiliar with financial affairs or who have family members who are unemployed, in financial trouble, and/or have substance abuse problems are especially vulnerable to financial exploitation. Financial elder abuse is an ongoing concern, as more people enter their senior years and are seen as vulnerable to abuse. In addition to the scams mentioned above, there are many ways for loved ones, friends and business associates to obtain access to a senior's money and property, either without the senior's knowledge or by lying about their intentions. Some financial elder abuse is as simple as a family member gaining access to the senior's bank account and stealing money from that bank account for his or her own purposes. In some cases, a trusted person might promise to pay the senior's bills, take care of debts or make purchases for the senior, only to drain the account and leave the senior with no money. In other cases, a person might gain a position of trust with the senior and use that position to obtain power of attorney over the senior, or convince the senior to sign over property or money. Or they might forge the senior's signature on documents enabling them to access the senior's insurance policy, mortgage or investments. Unfortunately, in cases of financial elder abuse, the senior's savings and investments may be wiped out, leaving the victim with no money to pay bills to care for him or herself. Senior's will is suddenly changed. Long-term care insurance is insurance designed to cover a person's long-term care beyond that covered by health insurance. It is generally used not for traditional insurance coverage but for people who might need assistance with daily living activities, such as dressing, eating and walking. Long-term care insurance usually covers home care, hospice care, assisted living and other forms of care that seniors may need. Unfortunately, some companies that provide long-term care insurance are accused of practicing bad faith insurance, meaning denying or unreasonably delaying paying out legitimate claims. Among the unethical tactics allegedly used to deny or delay claims are rescinding coverage after a claimant is diagnosed with a disease, requiring multiple copies of the same paperwork, claiming not to have received paperwork but not following up to obtain required papers, sending the wrong paperwork to policyholders and then denying the claim because the wrong paperwork was filled out, delaying the process by communicating with the policyholder via mail instead of phone calls, and holding off payment pending an investigation but not conducting the investigation. Seniors pay into their long-term care insurance policy with the belief that when they need the coverage, it will be there for them. But some long-term care companies have been accused of illegally denying claims, putting the seniors at risk of not receiving care they thought they had paid for. Elder Care Law includes elder care abuse. Unfortunately, many serious injuries and even death are often unreported, but most elder abuse and neglect can be prevented. Prompt reporting is the first step. All 50 states have elder laws that address the problem of elder abuse and neglect, but each state has different laws. Under federal law, an older individual is a person who is 60 years of age and older, but many states protect individuals who are 65 or older. Typically, state law definitions of elder abuse include physical abuse, neglect, or a deprivation of care that results in physical harm or pain and/or mental suffering. Neglect may be defined as both passive and active neglect. Many states include financial exploitation of the elderly in their definitions of elder abuse. And several states treat elder abuse as a criminal offense that can result in felony, fines, and/or jail time. In some states, nursing homes and other institutional caregivers and their works are subject to penalties including loss of license, censure, and fines. In most state, reporting of elder abuse—either by health and human services professionals, long-term care facilities employees, and/or law enforcement personnel is mandatory. As well, numerous states require financial professionals such as bankers to report elder abuse, and a few require the clergy to report elder abuse. Every state has an ombudsman that investigates complaints of elder abuse in institutional settings, and sometimes may include domestic settings. A minority of states now compiles registries of facilities and caregivers that have been convicted of elder abuse or crimes involving the elderly. Federal legislation has proposed background checks for all caregivers, but a few states already have laws that require such criminal background checks. If you have been the victim of abuse, exploitation, or neglect, or you know of someone who is the victim of elder care abuse, elder care lawyers will review cases involving nursing home abuse, financial loss and neglect resulting in injury or death.